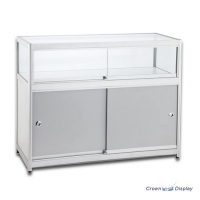 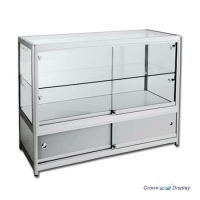 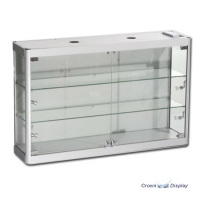 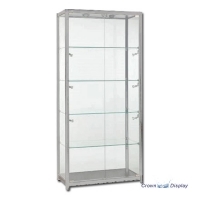 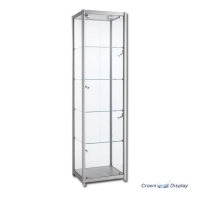 Designed to elegantly showcase valuable merchandise, this display case is supplied with tempered glass shelf and strong locks for security. 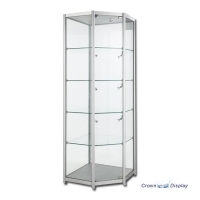 The glass componants are manufactured using tempered glass whilst the frame is strong, durable aluminium. 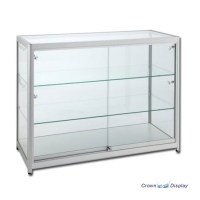 Additional stock can be stored in the cupboard below. 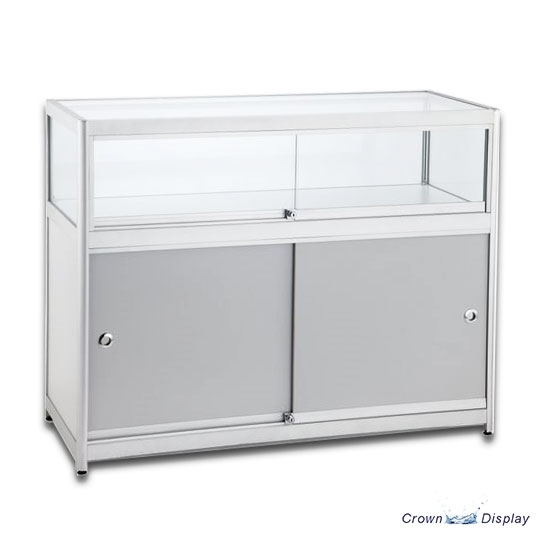 6mm tempered glass top and sides.